Our web design process is simple, straightforward and puts you in complete control from start to finish. Changes can be made at any time in the design process and throughout the website build. The guide below shows how we would go about designing and building a site with you from start to finish. As you will see, once the site is launched we don't abandon you, we maintain the site and make any alterations and additions you need in the first year and beyond if you choose. If you have any questions at any point don't forget you can contact us and we will answer any queries you may have. Visit our portfolio and see some of our feature-packed websites live on the internet. Next, take a look at our web design features page to see which features you would like to include on your site and make a note of them. If there is something you would like to include on your site that isn’t listed, then contact us and let us know. We will do our best to include this for you. 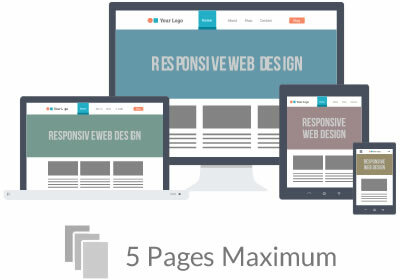 Let us know how many pages you want your website to have and what features you want to include. Enter all this information here and we will get back to you, usually within 24 hours, with a quote for the website. At any point in the future design and coding process your can add features and pages to your site. Just contact us for pricing information. If you are happy with the quote, then you can send us your design brief along with your deposit (50% of the quote). If you have a general idea of how you want the site to look and what colours you would like to use, then send us all this information and we can incorporate this into our initial designs. If you have no ideas in terms of design and functionality of the site, then we will do our own research and come up with some designs and features that we feel will benefit your site. Once we have all the necessary information from you, we will then start the research process. If you have any direct competitors they will be researched at this point to enable us to produce the most beneficial and effective web design for you. The more information you can provide us with initially will help speed up this process. We will produce a number of initial website designs for you, using various pieces of graphic software and then email or post the designs to you. These designs can then be tailored to your exact tastes and needs until a final design is chosen. If you provided us with specific designs of your own for the site, then this part of the process will take less time and the designs we send you should meet your requirements exactly. 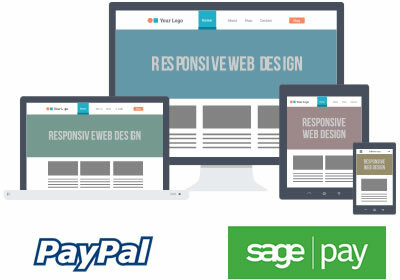 Based on the inital design process, we will now produce a final design of your site. Don’t worry though, if at a later date you need to change the design slightly or increase or decrease the number of pages you require, as this can all be accommodated. Once the final design is decided, we will begin developing your site. We will keep you up to date with the progress of this stage and we can even upload your site to our test area when you can view the progress of your site online. This enables you to let us know if you want something changing or relocating within the website. Once the website is complete, the remainder of the payment is then taken. Once this is complete, we can upload the site to your domain. Website add-ons, such as Google Analytics, can only be added after the site has launched and this will be completed at this stage, along with any other add-on features, such as Google AdWords. Your site is now managed and hosted by us for the first year. All our websites are hosted and managed by us initially for a year. 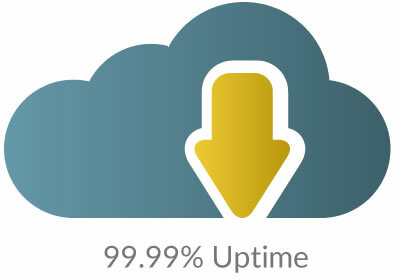 You can view details about our super fast and reliable cloud hosting platform here. At any time in this period you can add or remove pages from your site, change or update content or add features by contacting us. Occasional changes to text or images on your website are included in the maintenance package, any additional pages or major changes to the site will be invoiced. We will send you a quote for the changes your require before we start any work. Website updates and changes are usually completed within 48 hours but at busy times may take slightly longer. At this point we will continue to monitor the website's performance in the search engines and make any changes necessary to improve it's ranking. This is part of our ongoing Search Engine Optimisation, this will continue for as long as the site is hosted and maintained by us. After 12 months we’re sure you’ll be happy with the maintenance and hosting we have provided for you, so we can continue to host and manage your site for a small fee. Currently these are £85 per year for our Standard Package and £125 per year for our Ultimate Package. We will contact you towards the end of your 12 month agreement to renew your website hosting and management with us.